The Olympics just a few days away many people will be getting ready to capture all the glory and disappointments on camera. This year capturing slow motion will be even more popular than ever at the Olympic games. Many people will be turning to various cameras from GoPros, to DSLRs to really high speed cameras. I thought this would be a great time to take a look at some of these cameras and their abilities. The GoPro Hero 2 is very inexpensive, extremely portable and inexpesive at $299. This go anywhere camera can capture variable frames rates from 30-120 frames per second. Shooting at 120 frames per second will provide with some excellent slow motion footage, and because of its small size you can get right into the action. People often mount these cameras to their helmets to get that up close and personal feel . The DSLRS are able to capture slow motions video as well. Since most of us either have one or know someone with one, it is a great choice. They often have larger sensors and better image quality that the GOPros. However, the trade off is frame rate. Most of them only shoot up to 60FPS. Although this is great for capturing some slow motion, it may not be fast enough to capture some of the action at the Olympics. Now if money is no object then go all out and check out the Fastec TS3 Cine. This camera is small, compact and easy to carry around. 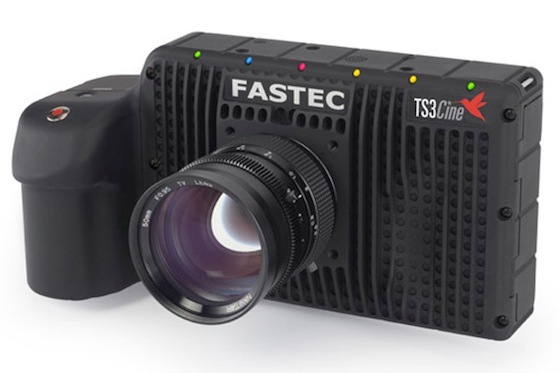 The Fastec TS3 shoots an incrediable 500 to 20000 frames per second, depending on resolution. It can capture just about anything. It also has a beautiful 7″screen withs built in SSD drive. TS3Cine Reel from Rule Boston Camera on Vimeo. Now that the Olympics are just a few days away, you may want to consider using of these cameras to capture all the action. Personally I would love to use the Fastec TS3, I think I just need to convince my wallet. What cameras are you considering to capture all high speed action at the Olympics? wow.That’s an intrusting and wonderful information.<a href=”http://www.fastecimaging.com/”> Fatec Ts3</a> high speed camera is going to papuler in market.Mostly people like it for photography and video Thanks submission….. I would love to have a high speed camera or I’ll just get a fast lens.